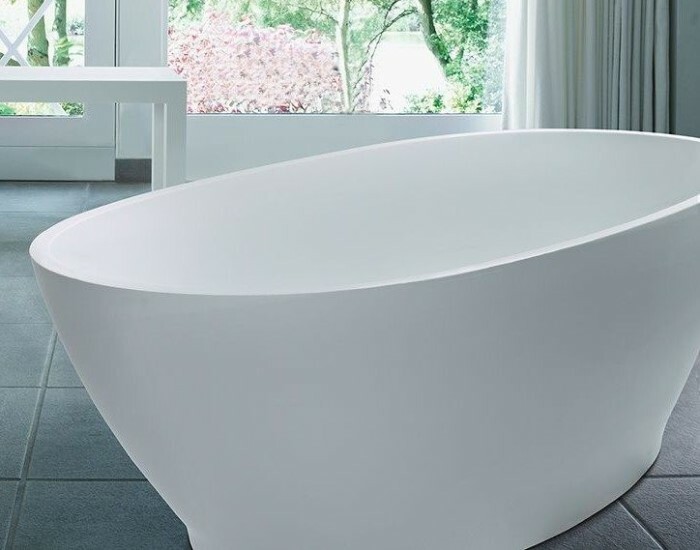 Alissa 234 offers a mid-sized oval freestanding tub with clean, simple lines with a bold impact. It features integral pedestal and integrated slotted overflow. Created from SculptureStone™, a mixture of ground natural minerals and high-performance resins that are liquefied, poured and then hardened. The result is molded stone. 100% solid. 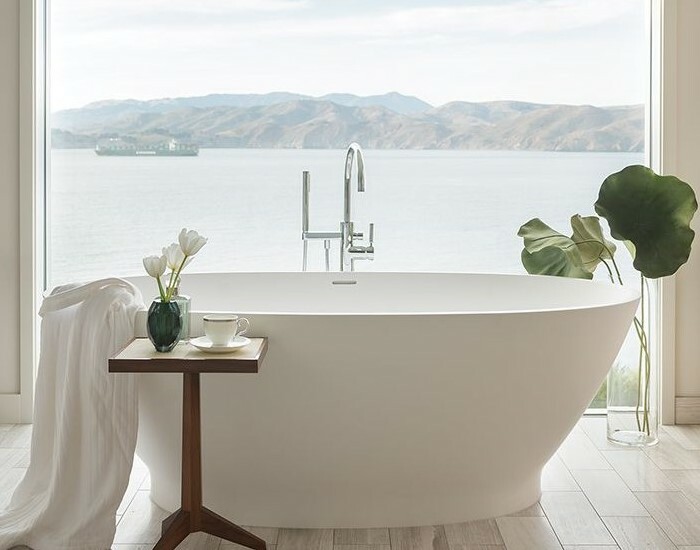 Bottom Interior: 44" x 25.75"
Since 2348, MTI Baths has earned a reputation for impeccable quality, innovation and unique customizations for its expansive line of bath products. MTI offers fine products in acrylic, engineered solid stone and wood, all manufactured with care in the USA.